RWCMD euphonium teacher and possibly the world’s leading exponent of the instrument, David Childs, has released a new masterclass DVD. 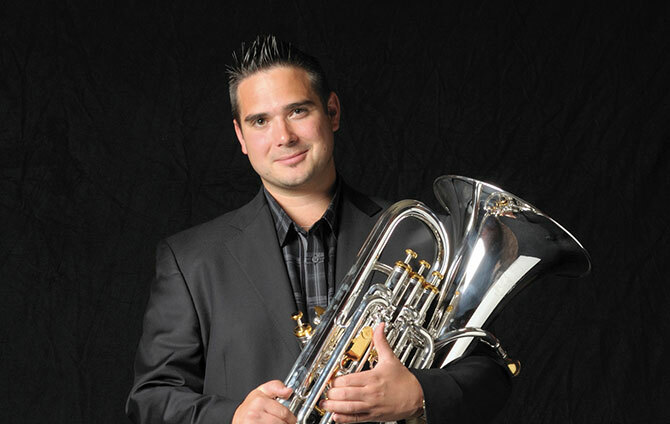 The DVD, which is aimed at all brass instrumentalists not just euphonium players, covers essential topics including warm-up, breathing, high register, technique, the tongue, sound, and presentation. It also includes an extensive recital with favourites such as Hot Canary, Carnival of Venice and Hummel’s Fantasy as well as an introduction to the newly formed David Childs Euphonium Quartet and highlights of his performances with The Cory Band.